Mercedes attack in the premium compact segment continues as they have been successful in their launch of three new vehicles. Mercedes is having to increase production of the 2014 A-Class due to increased demand from a new generation of global buyers. Mercedes was hoping younger buyers who never purchased the brand before would be attracted to the new A-Class, B-Class and CLA four dour coupe vehicles. And they have in a big way. Mercedes is on a march to be the number one luxury brand in the world and they know younger buyers are the key to their success. 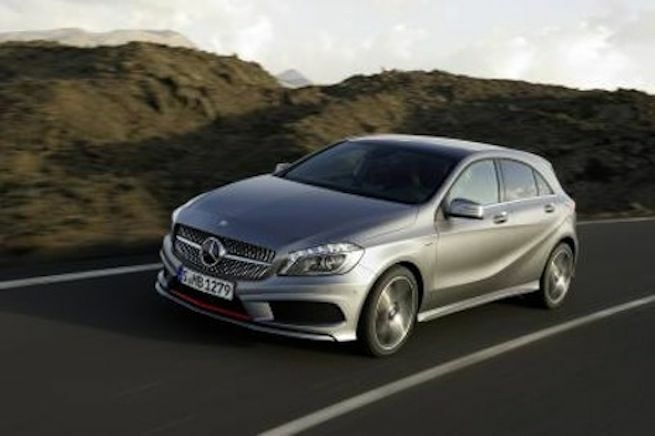 They launched the new B-Class, the new A-Class and the four-door compact coupe CLA and demand continues to be very high for the new premium compacts. They introduced them at a perfect time as the Millennial generation begins buying cars and moving up to purchase their first new car. Mercedes had to increase production at a new plant at Valmet Automotive's plant in Uusikaupunki, Finland. Daimler and Valmet are ramping up production of the new A-Class to meet the respective required output from the current year on through 2016. Mercedes says more than 100,000 A-Class vehicles are planned to roll off the line at the new facility in Uusikaupunki. The German automaker wanted to appeal to new customer groups with the A-Class premium compact and they have succeeded. As an example, the conquest rate of the new A-Class in Europe is at about 50 percent, the average age of the customers is 10 years lower compared to the predecessor model. Demand is high and Mercedes-Benz will launch into new markets in the future. Mercedes reports from January through July 2013 alone, 202,149 vehicles of the A- and B-Class and the CLA were delivered which was a 62.7% increase over last year. Further momentum is expected in the months ahead with continuously rising availability in further markets. And Mercedes-Benz attack in the premium compact segment will continue. The Frankfurt Motor Show in September will see the reveal of the GLA as an “impressive reinterpretation” of the compact SUV segment. The GLA is the fourth of five new models that mark a significant expansion of the brand's global product portfolio. Mercedes has been wildly successful with their expansion into the premium compact segment with the new B-Class, A-Class, and CLA four-dour coupe. Look for the new 2015 GLA to fly out of showrooms after its launch as well. Come back tomorrow as we reveal more Mercedes GLA news.